Her dad's job is with the dead . . . and he's bringing his work home with him. Once again, seventeen-year-old Riley Smith is the new kid in school and her dad's career has her back to being dubbed a freak. Truth is, she's a much bigger freak than her classmates think. The only company she keeps these days is the dead who follow Dad home from work. She can see them. She can speak to them. And Fate seems to think she can help them solve their last problems so that they can move on to the other side. Which is odd, because with the loss of her mother and her father's alcoholism, she's got enough problems of her own. But nothing could prepare her for the next tormented young spirit who darkens Riley's door. The young woman's death wasn't the accident everyone believes. Soon Riley finds herself face-to-face with the killer and her only protection comes in the form of another spirit, Hayden, a boy her age with a heart-melting smile and understanding eyes that make her feel safe. If she can escape becoming the killer's next victim, Riley knows she'll have to help Hayden move on too, but what if she can't let him go? 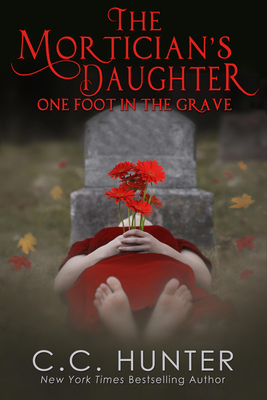 For thrills, chills, romance and laughter, preorderThe Mortician's Daughter: One Foot in the Grave today.